LifeCHARGE, an Ontrion Group company, specializes in mobile battery packs ranging from from battery cases for all major phone manufacturers to power banks that seek to replenish power to mobile devices more than once on a single charge. 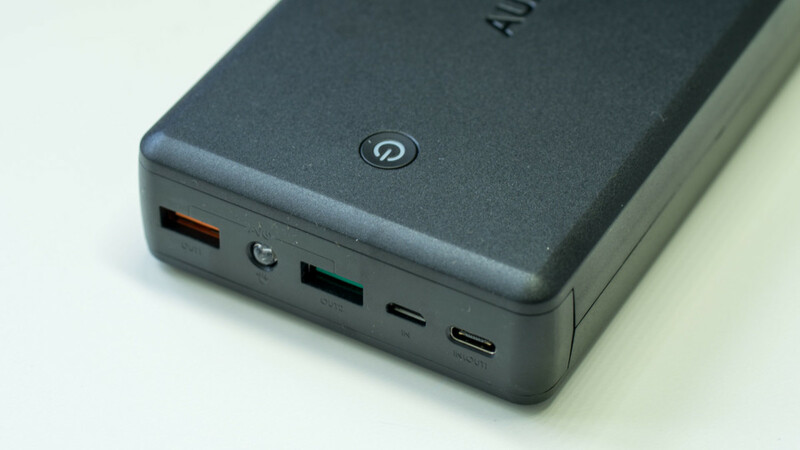 Today, we take a look at their most powerful product yet, a 10,000 mAh power bank. Just to give you a rough idea of what this means, this power bank is theoretically capable of charging the Apple iPhone 5S about six and a half times or about three times for a Samsung Galaxy S4. Of course, there are many other factors and features to consider when determining if this power bank is really worth it. This power bank costs $69.99 and can be shipped right to your doorstep for $2.99 in the United States. International shipping rates are subjective and will be calculated at checkout. 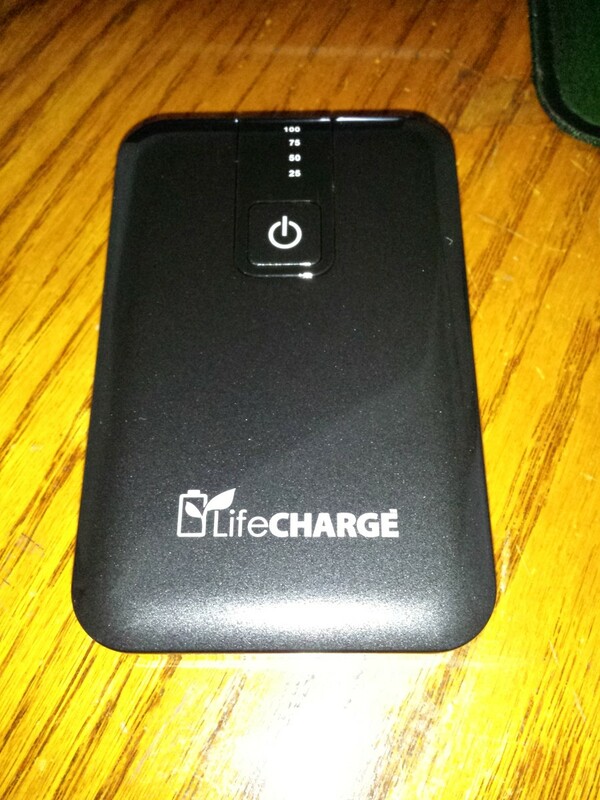 This review will contain some comparison to the 4,500 mAh power bank by LifeCHARGE, which I have reviewed earlier this year. If you would like to consider the much smaller model, you can check out my review here. Like always, LifeCHARGE has a very efficient packaging. It seeks to minimize redundant packaging plastics and wrappings. You get a box with a flap that's magnetically held in place. Simply open up the flap and slide the power bank's inner box out. As you can see, the packaging looks very nice. 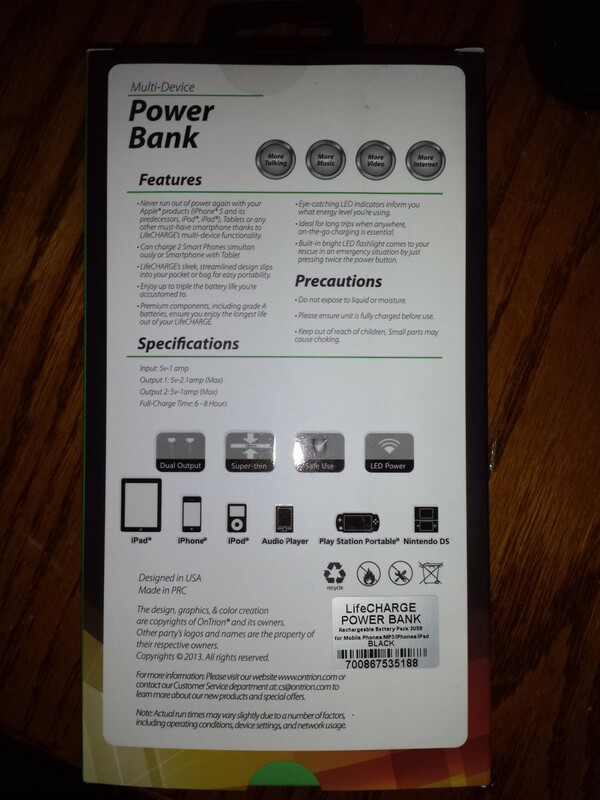 The back provides everything you need to know about this power bank. Further details are available inside the box, which I will get to in just a little bit. In case you can't read the descriptions on the back of the box, I will just quickly summarize them for you below. The descriptions are separated into three categories - Features, Specifications, and Precautions. Let's take a look at the features. 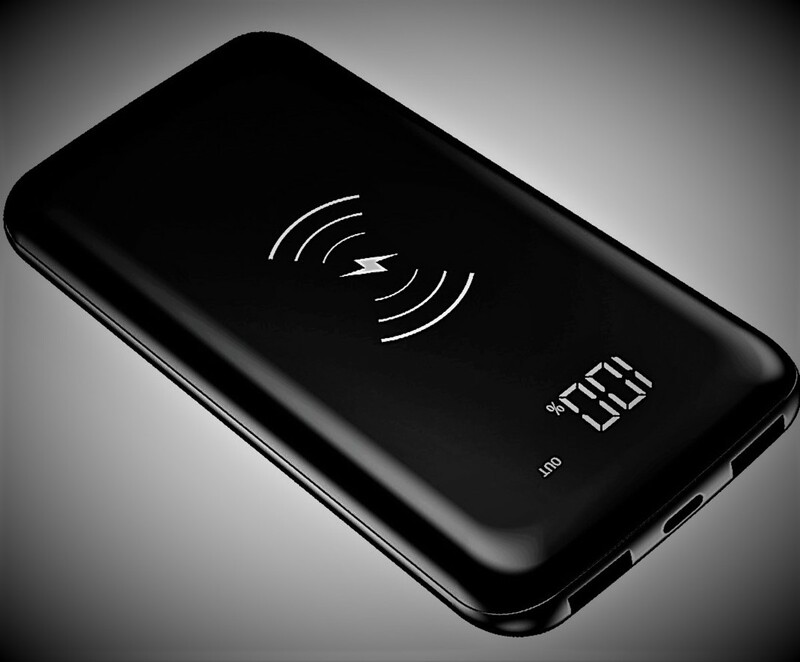 They include never running out of power again for mobile devices, can charge two devices simultaneously, sleek compact design, grade A batteries to ensure the longest battery life, LED indicators to monitor battery usage, and a built-in LED flashlight for emergency situations. The specifications give a quick look at the input and output voltage and amps. The power bank requires a 5-volt, 1-amp input. As for output, there are two different listings for each of the two USB ports. The first one is a 5-volt, 2.1-amp output while the second is a 5-volt, 1-amp output. The full charge time is expected to be between six to eight hours, but this really depends on your input. I will get to this in a bit. Finally, the precautions state that the power bank should not be exposed to liquid or moisture, ensure the unit is fully charged before use, and keep out of children's reach. 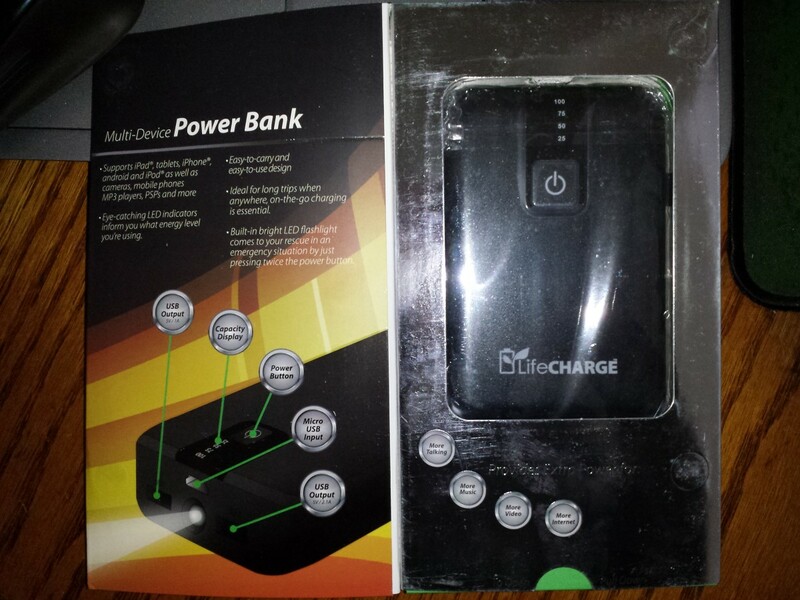 The packaging is very efficient and serves well as a long term storage case for the power bank when it is not in use. We can see this by taking a look at the inside. Once again, you'll notice a pictorial guide on how to use this power bank. As you can see, the power bank is quite big. Just how big is it exactly? I actually put this power bank against my phone, which is a Galaxy S4. The power bank covers my screen perfectly so I would say it is about five inches measured diagonally or just slightly bigger than a deck of cards. As for weight, it does pack quite a few batteries inside so you can expect it to weigh you down a bit. However, it is not much heavier than a typical smartphone. After opening up the box, I got a much better first impression compared to the LifeCHARGE 4,500 mAh power bank. It contains an actual instructions pamphlet which I found out that hard way that this is a crucial piece. Here's why! LifeCHARGE power banks like to keep things simple and also to a minimum. This means we are seeing one button controlling several functions at once. If you take a look at my old review, figuring out how to turn off the power bank and flashlight is quite a pain. Luckily, we do see this issue all fixed up both in terms of instructions and the actual power button navigation. Aside from the instructions pamphlet, you also see a bagged up micro-USB charging cord. This is a universal micro-USB to USB cord, which means you can use this to charge both the power bank and your own device without having to carry two separate cords. Only issue here is that you should still probably carry your own cords. We will also get to the why in just a bit. Finally, you get the actual power bank. It looks and feels great in your hands. It has a front and back protective film to protect the power bank from scratches in case it moves around in the box while in transport. Next off, we will take a closer look at the power bank itself. I would definitely say that this is a power bank that speaks quality. Everything from the hold and feel to the power button and USB ports feel solid. We are looking at very hard plastic was sealed off quite nicely. From a distance and a glance, you will think that this power bank deployed a uni-body design. Only when you take a much closer look will you notice that the power bank consists of two parts. There is a top shell that, I can only imagine, got glued or joined together to the rest of the body shell. Do I mind this? As long as it has this solid construction feel, I simply don't care. I will change and update this statement if I find that the two shells are somehow coming apart, but right now it's good to go. You probably won't think it is a big deal, but I definitely consider this be one of those cases. 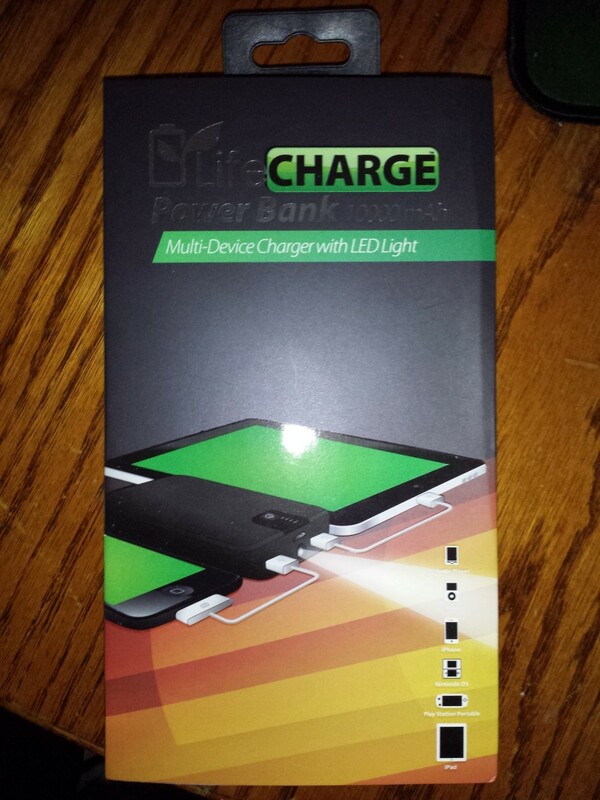 We finally see a LifeCHARGE logo on the power bank. This looks much nicer than having a generic "Power Bank" label imprinted on the back as seen with the 4,500 mAh power bank review. Let's take a look at the LED battery remaining monitor and power button. A big improvement from the last power bank I reviewed, the instructions make it very clear on how to turn the power bank on and off. Although it may seem like common sense to press the power button to turn on and then press it once more to turn off, common sense is actually not so common. In fact, over on my last review, I found out the hard way that it requires holding the power button to turn off the power bank or to just leave it alone for it to auto-shutoff. I'm quite glad that the LifeCHARGE fixed this up over on the 10,000 mAh power bank. 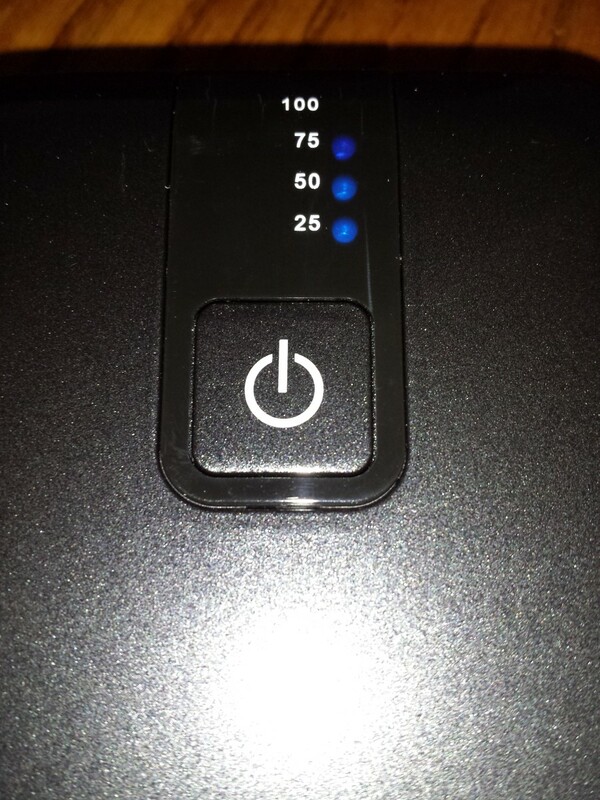 The first press of the power button will turn on the power bank. Pressing the power button again will turn off the power bank. However, the power bank is actually smart enough to realize when it no longer needs to supply a charge. Once an USB port is unplugged from the charger, the power bank will turn off immediately. However, it hasn't reached the stage where it is smart enough to realize that the device is fully charged. I left my phone charging overnight only to wake up to the power bank blinking low battery. Fortunately for me, my phone was fully charged. This leads to the next thing I would like to talk about. The low battery indication is one LED light flashing at the 25 percent mark. This signals that the battery is low and the power bank is out of juice. The point when the power bank is absolutely out of juice is when all the lights are off. This is the stage beyond the flashing 25 percent light. This is the point when the power bank needs to be recharged. Let's not forget that power banks are simply lithium-ion batteries packed tightly together. Like all lithium-ion batteries, it will actually damage the battery if you attempt to fully drain it on a regular basis. Battery re-calibration is another story, but you should not drain the battery on a regular basis to get more juice out of it. Lithium-ion batteries actually do have memory effects, which were thought otherwise until researchers found that there, in fact, is a memory effect back in April 2013. Not only that, but the battery needs enough juice to keep track of its current state. Otherwise, the battery will report a different charge amount than there actually is. For example, it could report that charging is complete while the battery is only 70% charged. 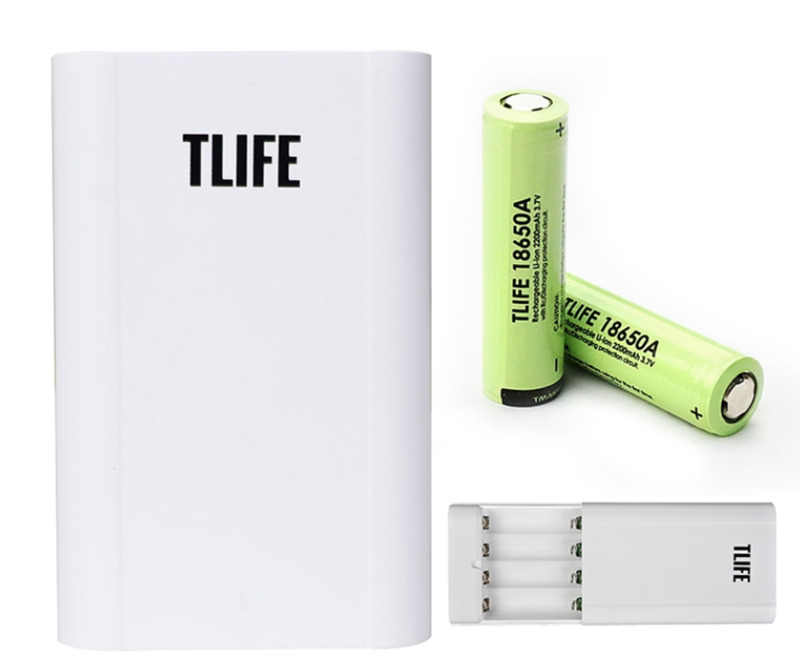 By using it when you are not supposed to will dramatically shorten the lifespan of the power bank. This power bank also comes with a super bright emergency flashlight, well, that could also be used for non-emergency purposes. 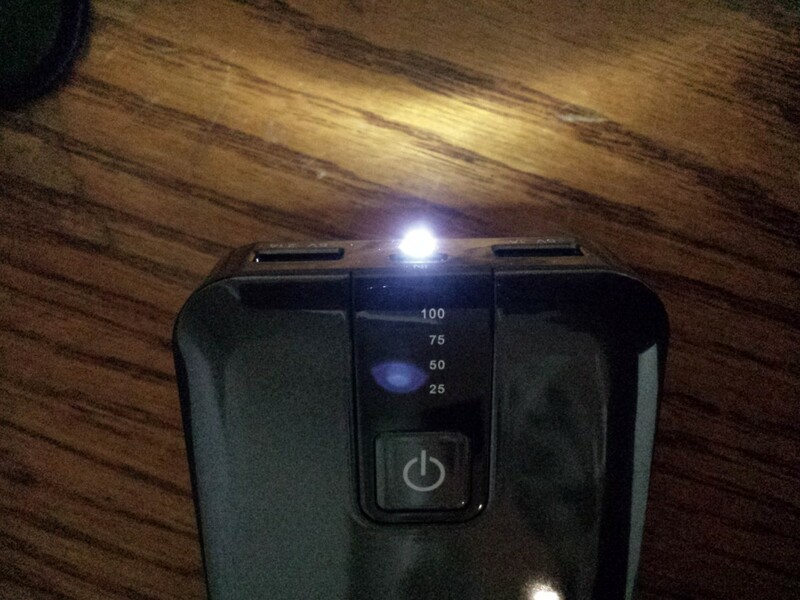 As you can see, this flashlight is extremely bright and illuminates light from a single LED bulb. Not to fear, this bulb is not protruding out of the power bank shell. Most of the bulb is covered up and its surroundings actually holds the bulb in place. Pushing the bulb revealed that it has no intention of moving from its place, although it did wiggled just a little in its spot. Taking a closer look, the shell has a hole drilled into it and then the bulb is fitted into the hole. Only, it looks like that the hole was drilled a few millimeters too wide. The charging section of this review will be separated into two parts. Part one will consist of charging another device from the power bank while part two will focus specifically on charging the power bank itself. However, there is another little detail we have to clear up before we move any further. While USB 2.0 ports are standardized now, it is important to note that while they supply 5-volts, the ampage can actually vary. Normally only 500 milli-amps are supplied, but charger ports go up slightly higher to 1 to 2 amps. Of course, a 2 amp charging port will charge a device twice as fast as a 1 amp port. From now on, ampage will be denoted in 'A' so as to not to avoid confusion between the power bank's labeling and my review of their functionality. This power bank has a true 2A output. It is very important to mention this especially if you are going to shop around for a power bank. 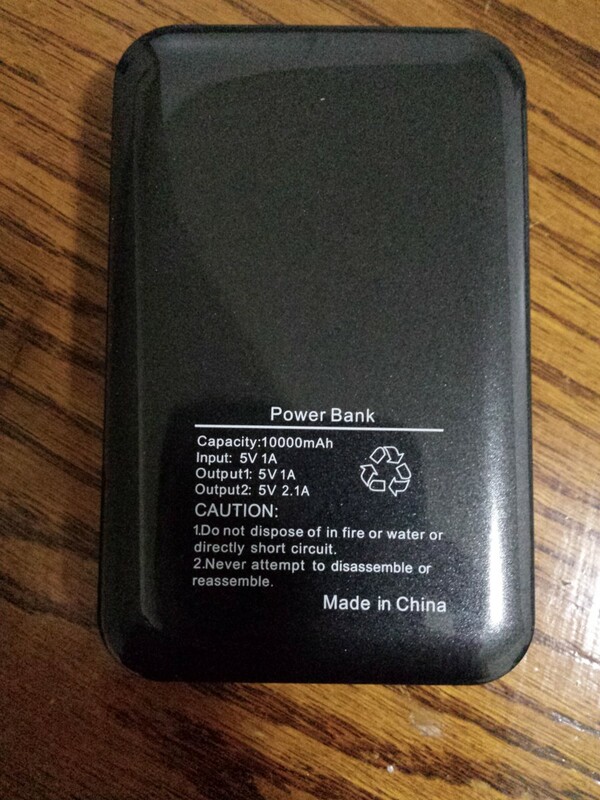 Many power banks will advertise as having a 2A output. What they really mean is that the combined output is 2A so two charger ports with 1A output for each. In this case, the sum of the outputs don't exactly help or change performance in anyway. It is simply totaled to mislead consumers into thinking that they are getting something much more powerful. In fact, they are not. So if we were to sum up the total output, the LifeCHARGE would actually score with a 3.1A. Notice in the image how there are two standard USB output charger ports. One of these ports is a 2.1A output. Why not just 2A like other non-misleading chargers out on the market? I can only speculate as to the fact that the current may not always be consistent and so in order to guarantee a 2A output, the hardware capped the current slightly higher by 0.1A. By doing so, any slight fluctuations will still guarantee a 2A output. This isn't the case with the 1A as it already delivers a slower charge. This port is more for smaller capacity devices that can be charged much more quickly. In fact, it could be there for on the spot usage rather than charging. In any case, both USB ports are a tight fit. In fact, a bit too tight I would say. I almost declared this power bank defective as it took some effort to force the charger cable into the slot. At the end of the day, it did fit so rest assured that the charger cord won't be coming out too easily. My main device of testing is my Samsung Galaxy S4. It is equipped with a 2,600 mAh battery. From a full charge, this power bank managed to charge my phone two and a half times. My phone's battery would fall to the 15% remaining level. At this point, a warning would pop-up instructing the device to be charged. At this point, I would hook the power bank to my phone to the 2.1A charger port. I was able to do this for two and a half times. What this means is that my phone's battery would reach 15% and get charged up to 100% twice. The third time, the power bank was able to charge it halfway to 67% before completely drained out. Keep in mind that just because the charger port is a 2.1A output, your device should not be charged significantly faster. Most mobile wall chargers are 2A output anyway so the charging time should be the same. For me, it took slightly longer than two hours to charge. This is about the same as my Galaxy S4 2A output wall charger. Finally, I did experience the auto-shutoff feature on the power bank when I unplugged the cord to my phone. Still, it would be wise to turn off the power bank first before unplugging the cord to avoid possible damages to the battery of either device. This is where the output probably matters more. 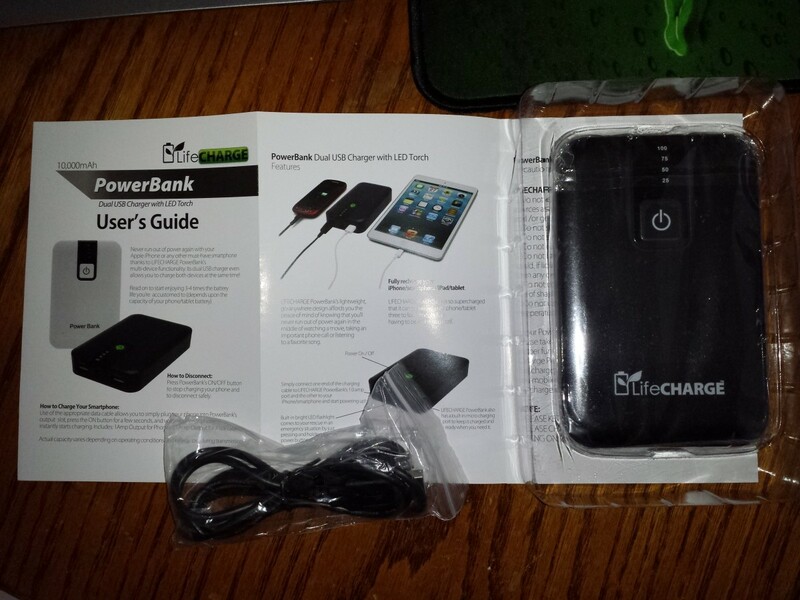 Unfortunately, LifeCHARGE did not decide to include a wall charger with the power bank which I find problematic. 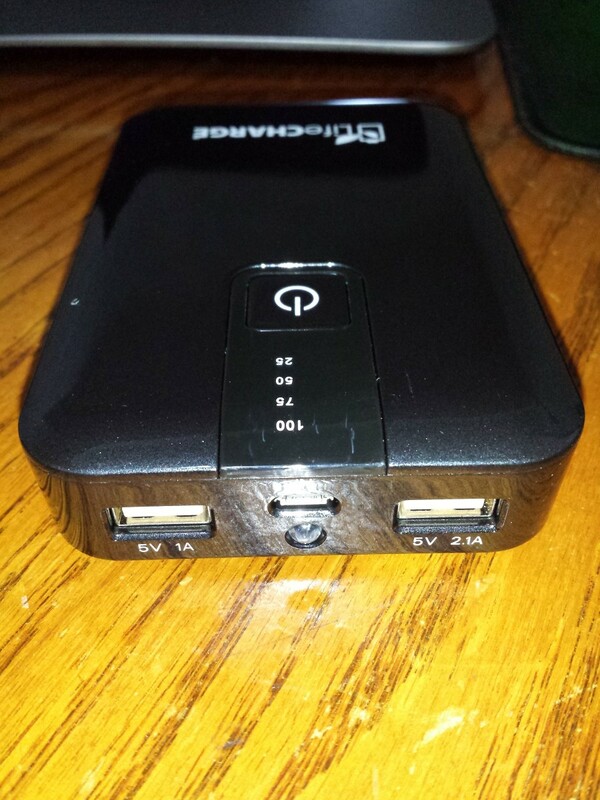 Considering that the USB port on a typical computer delivers around a 0.5A output, it would take forever to charge this power bank. On the box, the full charge time is listed as 6 - 8 hours. I find this figure to be heavily skewed. It depends on how you choose to charge this power bank. It took me slightly over seven hours to charge this power bank full using my Samsung Galaxy S4's 2A output wall charger. This means if you go under the 2A output, it would take significantly longer than the specified charging time range. If using a 1A output wall charger, then it would take twice as long and four times as long if you are charging via a computer. My advice is to just buy a wall charger that has a 2A output. Note: Be very careful to verify the authenticity of a charger that advertises an output greater than 2A as current USB standardization limits output to 2A. Like all my reviews, I like to summarize the good, bad, and just plain ugly. Once again, I will be doing so will the power bank. In case you don't know what this section is about, please allow me to explain. 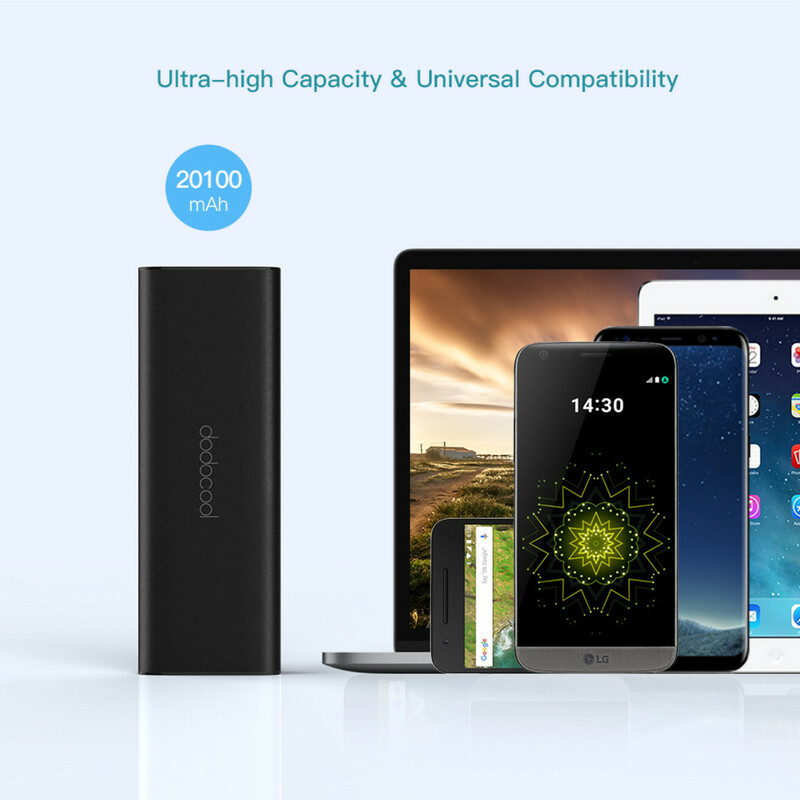 The "good" is the section where all the good stuff is such as what exactly makes this power bank so great and the features like the most. The "bad" is generally the section for improvement or certain lack of functionality. Finally, the "ugly" is the section that's more focused on the design and efficiency. It's not really a section containing improvements or what I like, but more along the lines of the appearance. Let's get started. The good is probably the true 2.1A output. You really do get the ability to fast charge your device. It's not like many of the advertised power banks where it's really two 1A outputs. The other significant improvement would be the ease of use. Unlike the previous power bank, one tap of the power button turns the power bank on and other tap turns it off. This makes it much easier to figure out and efficient compared to the previous power bank I've reviewed that requires holding down the power button. The problem with that is the power bank will try to determine whether the flashlight should be turned on or if the power bank should be turned off. I'm glad LifeCHARGE finally fixed this up. These are two significant thumbs up; it is debatable as to which is more significant. The bad is charging the power bank. I would've liked to see two charger cords instead of one as this power bank allows the simultaneous charging of two devices. Also, I mentioned that the charging time of the power bank is skewed. It depends on what charger you use to charge the power bank. I would've like to see a wall charger along with the power bank. Luckily for me, I do have a 2A output wall charger. However, not everybody does and so it's another cost users have to accept in order to charger the power bank in the fastest time possible. Please do not buy this power bank with the intention to charge it through your computer's USB port. It will take too long. Also, do not buy any cheap dollar store wall charger to reduce the risk of fire, short circuiting, and exploding chargers. The internal circuitry is very important and I recommend reading these two articles to really understand why a quality wall charger is important. 1. Why Apple's Wall Charger Is So Expensive? Finally, the ugly! I would've liked to see a more specific battery monitor. Having four LED monitor lights seem to be a little inaccurate. I have noticed this over on Anker's 2nd generation power banks. Anker's 2nd generation power bank uses more LED monitor lights to deliver a much accurate display of the battery remaining. The 25 percent remaining indicator is problematic because you don't really know the absolute battery remaining amount. I would like to see more LED monitor lights or perhaps a digital display. This power bank packs some serious juice. It is great for the frequent traveler, outdoors men or women, commuters, and those just simply need a bit more power to get through the day. The LifeCHARGE 10,000 mAh power bank is especially great for those with multiple devices that need charger. With two USB ports, it offers quite a bit of flexibility. Once again, be warned that a separate USB wall charger is strongly recommended. My recommendation is to go into your local electronics store so you can see the actual packaging and buy from a reputable brand instead of some no name internet brand. If that is not possible, my next recommendation is through Amazon or through an online retailer instead of eBay. Why? It is important that you have to refund option if you feel unusual heat build-up, then it is best to get a refund as there probably is something wrong with the circuitry. Finally, this power bank is great for those that just don't want to constantly charge many devices at once. 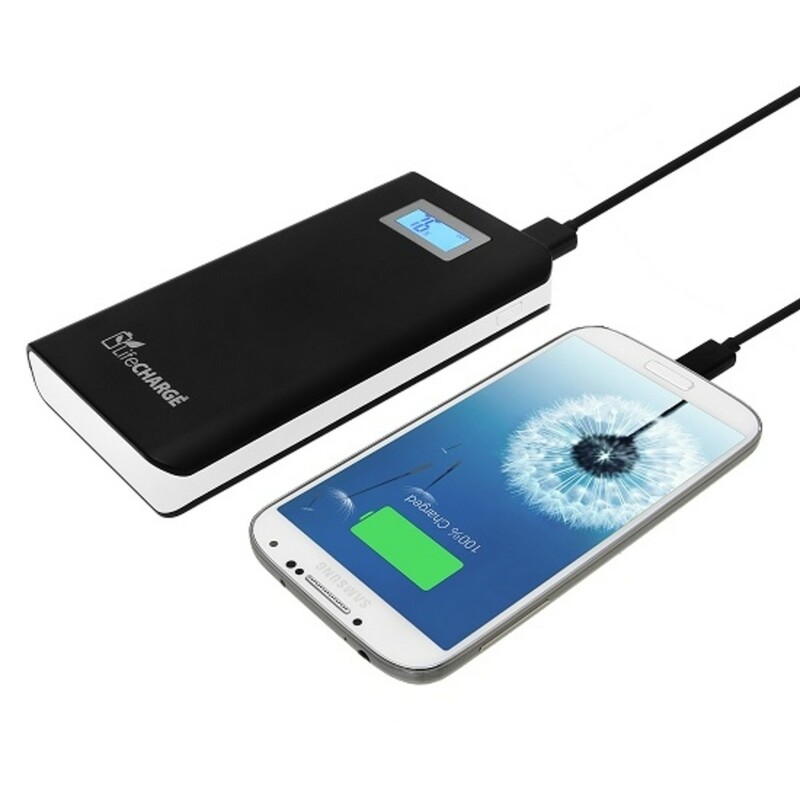 If you charge your phone on a daily basis and use the power bank near the end of your day, then a larger power bank will allow quite a few charges before charging the power bank. The problem with a smaller power bank is that it does require daily or frequent charges, which may not be suitable for all. Will you consider this power bank? The 4,500 mAh model is one of their first models. Holding down the power button turns on the flashlight majority of the time and sometimes turns off the power bank. I admit this isn't very well thought out, but removing the USB cord will turn off the power bank within 30 seconds. No problem, glad I can help! So there is no way to hold down the power button to turn it off, for the 4,500 mAh model? Great review btw! And thanks in advance for your help! It depends which model it is. The 10,000 mAh model turns off with another press of the power button. I think you are looking for the 4,500 mAh model, which is my older review. For that one, it turns off automatically. It turns off when no USB inputs are detected. Im trying to find your old review about what you mentioned. 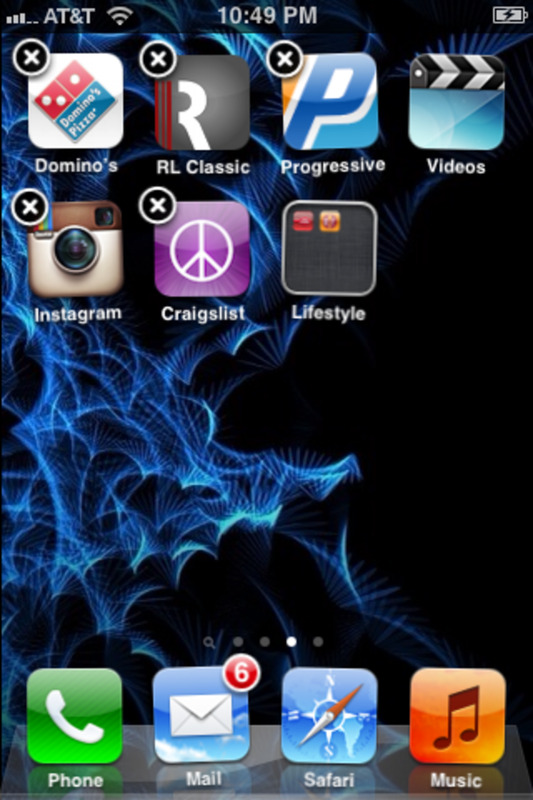 I can't figure out how to turn it off! Nice post, I want to get one.